China went through a massive transformation after it began opening up in the late-1970s. It’s gone from being one of the poorest countries in Asia to the world’s second biggest economy and most important manufacturer. There was a time, not too long ago, when the communist party controlled the means of production. Nowadays, China’s state-owned enterprises are being privatized. Foreigners can even own 100% of most businesses with few restrictions. Meanwhile, a nation of farmers and peasants has given rise to the largest middle class on the planet. China’s middle class is set to reach 400 million by 2020. This is more than the United States’ entire population. China’s rise is representative of Asia’s as a whole. However, the region’s largest economy (and arguably its greatest success story) is probably not the best place for you to invest. Why? Because there are better options right next door in Southeast Asia. The Association of Southeast Asian Nations, or ASEAN for short, is a political group of 10 countries in Southeast Asia. These are Indonesia, Thailand, Malaysia, Vietnam, the Philippines, Singapore, Myanmar, Cambodia, Laos, and Brunei. It’s common for “ASEAN” to be used as a synonym for Southeast Asia. Investing in ASEAN means investing in any of the places listed above. China is a single market, but ASEAN is far more diverse. It ranges from Singapore, one of the richest nations on the planet, to less-developed and rapidly growing countries such as Cambodia, Myanmar, and Laos. This is a good thing. Developed economies act as financial and service hubs for the region, whereas ASEAN’s emerging markets provide a source of cheap labor and manufacturing. But ASEAN is also much more decentralized because of this. The Chinese Communist Party makes important decisions quickly and decisively. In contrast, ASEAN is ineffective and slow as a group. Southeast Asia’s bureaucracy especially shows in the political sense. For example, ASEAN couldn’t even form a unified statement on China’s growing assertion in the South China Sea. Cambodia vetoed a strict warning at the expense of Malaysia, Vietnam, and the Philippines. Decentralization makes things more complicated for for those investing in ASEAN. But you can also reap greater rewards. Many of China’s opportunities are in the industrial sector. Foreign businesses, whether they’re having products made or setting up a factory by themselves, usually deal with manufacturing in some form. However, the country’s cost of labor and materials are now rising. The cheap labor which built China’s economy during the 1990s and 2000s is now harder to find. Not only that, but it’s difficult to invest in China. Foreigners (and locals) can’t own property on a freehold basis. Incorporating a business and getting a visa is a pain compared to other Asian countries. It’s getting more difficult to open a bank or brokerage account as a non-resident. Places like the Philippines and Cambodia are not only growing faster than China, but costs are lower and getting things done is easier. Multinational firms such as Nike and Samsung realize this. They’re setting up large factories in Southeast Asia and shifting operations away from China. ASEAN Economic Community: A Brighter Future Ahead? 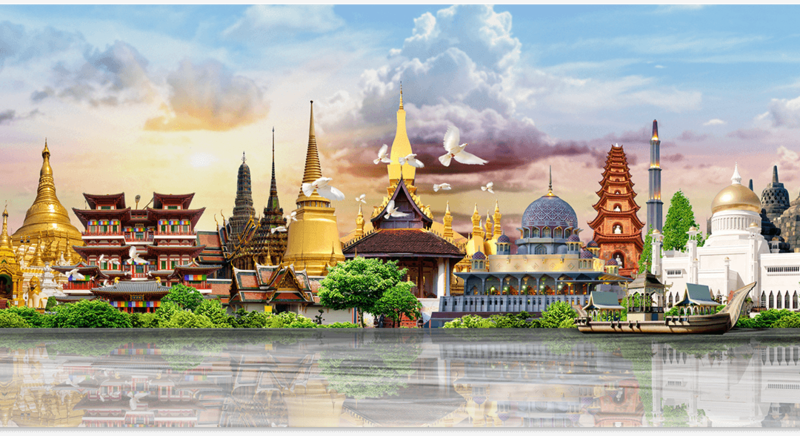 The ASEAN Economic Community (AEC) launched at the end of 2015. Its goal is to form an economic bloc similar to the European Union in many ways, but without a shared currency and political integration. These things are arguably drawbacks. AEC’s main objectives are a free flow of labor, capital, and trade. But the community hasn’t truly achieved any of these goals since it began more than two years ago. Conflict of interest between ASEAN member nations are almost entirely to blame. A free flow of labor sounds good in theory… but does Thailand really want people from the Philippines, fluent in English, to come over and take their jobs in the tourism sector? Likewise, does Malaysia really want to open its failing auto sector for foreign businesses to compete? These examples are why protectionism is rampant in ASEAN, and it’s unlikely to change anytime soon. The AEC can help Southeast Asia compete with China and other global players on an entirely different level. But only if the region can work together and put their interests aside for the greater good. For right now, you can still reap greater rewards through investing in ASEAN. You just need to be selective in the countries and industries you choose.